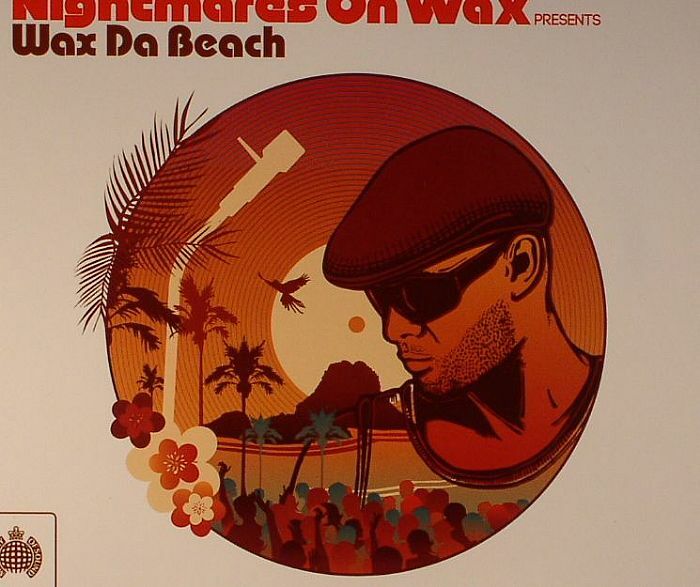 NIGHTMARES ON WAX/VARIOUS Nightmares On Wax Presents Wax Da Beach vinyl at Juno Records. 2. Marcel - "Backstreet Blues"
3. Nightmares On Wax - "Soul Purpose"
5. Guts - "Nightmare Of Paris"
6. Andreya Triana - "Lost Where I Belong"
7. Loose Ends - "A Little Spice"
8. The Planty Herbs - "Amoroso"
9. The Deadbeats - "Heaven"
10. Cloud Nine - "Realgoneturniton"
14. George Duke - "Dukey Stick"
15. Father Children - "Hollywood Dreaming"
1. Phazed Groove - "Soul Steppin"
2. Erykah Badu - "Gone Baby, Don't Be Long"
3. Sivuca - "Ain't No Sunshine"
6. Negghead - "Build It Up (Break It Down)"
7. DJ Center - "Center Groove"
8. 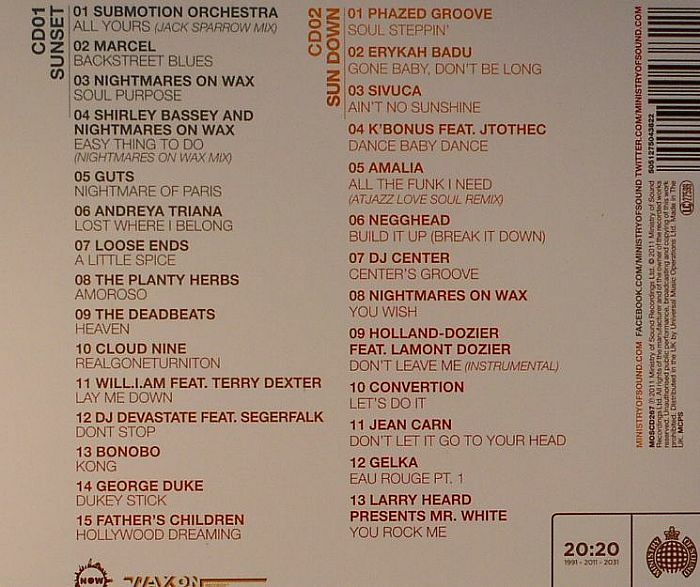 Nightmares On Wax - "You Wish"
10. Convertion - "Let's Do It"
11. Jean Carn - "Don't Let It Go To Your Head"
13. Larry Heard presents Mr White - "You Rock Me"